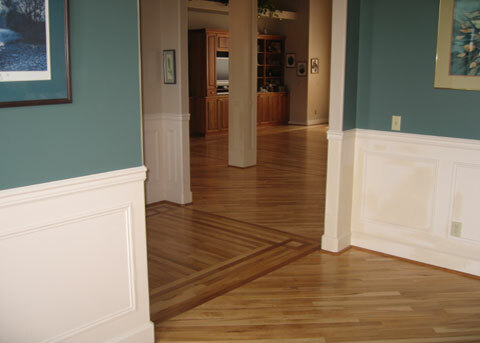 We work with many homeowners who want to make a statement with their wood floors. Whether we are installing a border or inlay, or simply staining the floor, Classic Hardwood Floors has the experience and expertise required to ensure your vision becomes a reality. Custom stains and unique floor treatments are popular with homeowners these days. Our design team can help you find just the right color, whether it be a modern gray tone or a warm espresso brown.